As a young black man growing up in South Carolina, Eddie Sweat struggled at several occupations before settling on the job he was born for-groom to North America's finest racehorses. As Secretariat's groom, loyal friend, and protector, Eddie understood the horse far better than anyone else. A wildly generous man who could read a horse with his eyes, he shared in little of the financial success or glamour of Secretariat's wins on the track, but won the heart of Big Red with his soft words and relentless devotion. In Scanlan's rich narrative, we get a groom's-eye view of the racing world and the vantage of a man who spent every possible moment with the horse he loved, yet who often basked in the horse's glory from the sidelines. 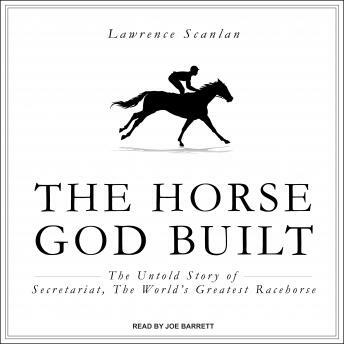 More than anything else, The Horse God Built is a moving portrait of the powerful bond between human and horse.